During my recent trip to Singapore, I spent two days on Sentosa Island. On the second day, I went back with my friend Karla and her son Teddy to visit Underwater World Singapore. We got there just in time for the dolphin and fur seal show. 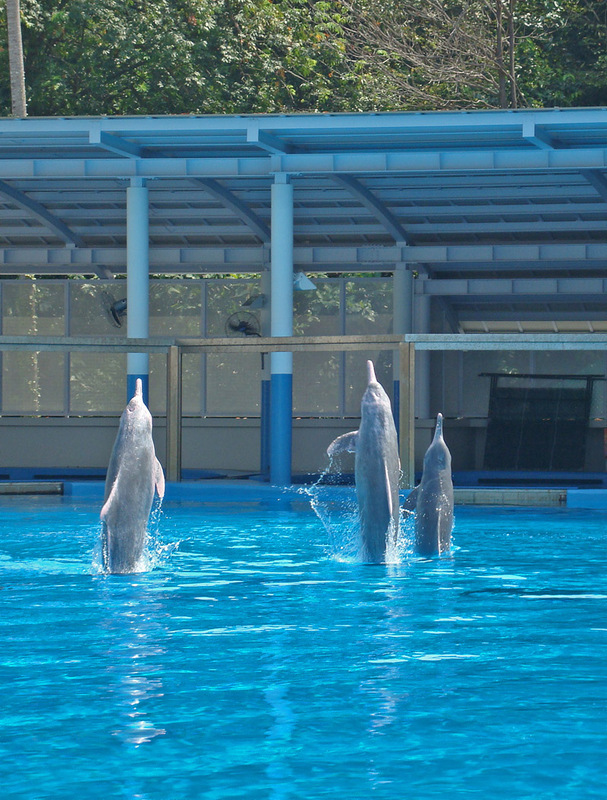 The dolphin show featured pink dolphins, which I hadn’t seen before, doing a variety of tricks. You can see them leaping out of the water to do a flip in the photo at the top of this post. 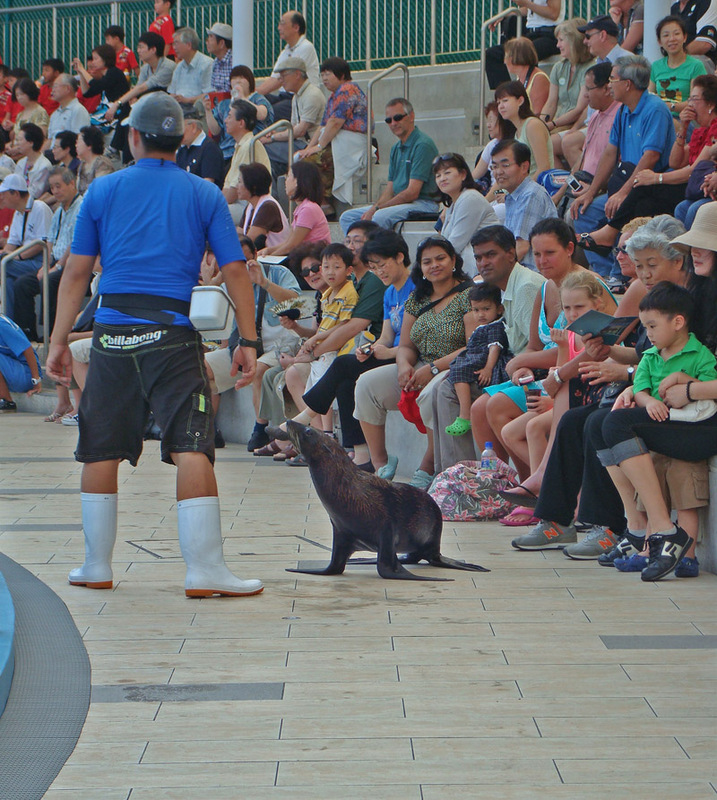 The fur seals performed after the dolphins and did lots of cute tricks both in and out of the water to entertain the crowd. Above, one of the seals was walking along, “barking” at the crowd. And below, I filmed a really short movie to show how fast the seals can swim. 24 Mar This entry was written by Kathy Keating, posted on March 24, 2010 at 11:29 am, filed under Animals, Asia and tagged Animals, dolphins, fur seal, kathy keating, sentosa island, singapore, water. Bookmark the permalink. Follow any comments here with the RSS feed for this post. Both comments and trackbacks are currently closed.